Hopelessly Devoted Bibliophile: 2013 Challenges! It's that time again! Time for the 2013 Standalone Reading Challenge! I participated in this last year and, although I succeeded, I really didn't get the full experience since I was too busy to really track things. So, this year I'm determined to not only read the books but also to track them every month! 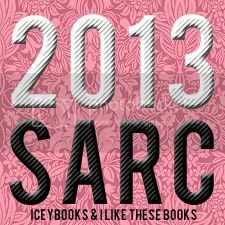 Read 15 standalone books that are published between January 1, 2013 and December 31, 2013. 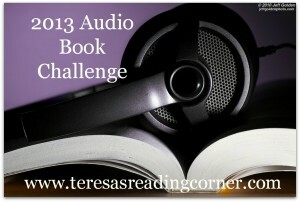 Next up I'll be participating in the 2013 Audio Book Challenge! I was a part of this one this year too, but it took me a while to really get started. in 2013 I'm all about trying to do an audio book a month. It's a great way to pass time when I can't read an actual book :). Lastly it's all about the 2013 TBR Pile Reading Challenge! This year I had the hardest time resisting the gorgeously shiny new books that came my way. However I did miss a lot of what I wanted to read. In 2013 I can't wait to catch up on what I missed! I'll have official pages for each of these linked up in the navigation bar above. I should have those set up within the next few days. 2013 is going to be an amazing reading year! I can taste it already. If you'd like to participate in any of these challenges, just click on the button that corresponds!